3waycomp has no other items for sale. A+ Thanks, Worked straight away! Good quality and fast delivery as always. Thanks. 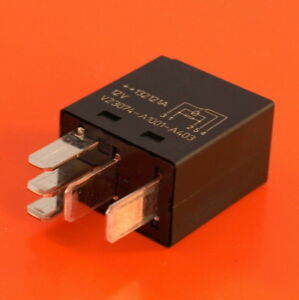 Vectra C Blower Motor problem..
Bought this to replace the blower motor relay as a previous reviewer did as a first step to solving the blower motor's reluctance to operate on speeds 1,2 & 3. ....Setting 4 was fine. On 1,2 & 3 it would not start or did start SOMETIMES on those settings after several seconds OR even minutes. On fitting this replacement relay the motor operated immediately on ALL 4 speeds with no need to change the blower motor resistor - the usual recommended solution - which has been on the car from new 13 years ago. EXCELLENT RESULT...DELIGHTED !!! In the Vauxhall a common fault is the blower speeds 1-3 stop working leaving only off or full (4). a common diagnostic is the resistor pack BUT there is also a little blue relay which is often overlooked. 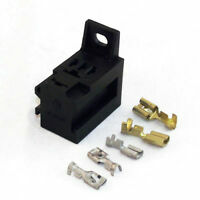 I spotted this product and confirmed with TYCO TEC Support this items compatibility with Vauxhall Part GM24459504 (R636). Job done. All blower speeds are now back. The relay is behind the glove box (5x T20 screws) at the side. I live in France and bought this to replace the wiper on/off relay of a 2008 Ford Mondeo 1.8 TDCI. It works perfectly and cost a fraction of the price that I would have had to pay here. It was delivered promptly and the postal and packing charge was most reasonable.